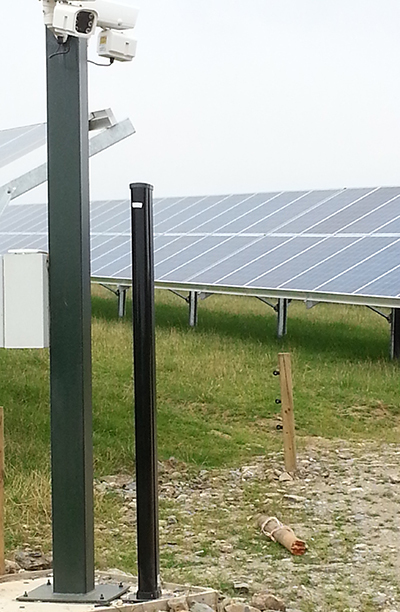 A new security system comprising more than 25 of the active infrared REDNET perimeter sensors from OPTEX Europe has been specified and installed by AVA Security & Communications to protect a multi million pound solar farm in Herefordshire that provides power to the national grid. The infrared beams (IR beams) are positioned in discrete towers alongside the CCTV cameras, which are located every 50 meters around the two kilometer perimeter. When an intrusion is detected, live images are captured and transmitted to a remote video response centre operated by Cougar Monitoring, and the appropriate action is taken. 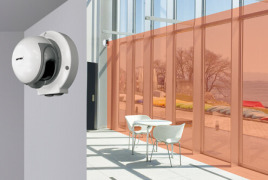 The REDNET series takes active infrared technology to the next level, utilising a 16 beam ‘net’ configuration to provide high level detection capability and can be configured to drastically decrease the level of nuisance alarms generated by wild life or environmental changes, a key consideration for both installers and central monitoring stations alike. Martin Dews, Business Development Executive at Cougar Monitoring is equally impressed with the low false alarm rate especially considering the geography and nature of the site: “In the two months since this installation was completed, we have received something like 300-times fewer false alarms than we would ordinarily expect from a site of this size and complexity.